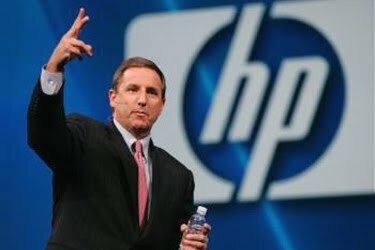 Within a day of learning that ousted Chief Executive Officer Mark Hurd accepted employment with Oracle, Hewlett-Packard was in court claiming that Hurd's employment with Oracle will necessarily result in disclosure of H-P's trade secret information. The suit is pending in California state court, meaning H-P will have an uphill battle to prevent Hurd from working for Oracle. California has a long-standing public policy that invalidates virtually all non-compete agreements. Hurd's several contracts with H-P do not contain any non-competition obligations, but rather purport to prevent disclosure of H-P's trade secret and confidential information. California also has rejected the "inevitable disclosure" doctrine of trade secrets misappropriation, meaning H-P must allege that Hurd has actually misappropriated, or threatened to misappropriate, H-P's secrets in working for Oracle. The Complaint carefully avoids using the term "inevitable disclosure", but does allege that Hurd accepted "a position which will make it impossible to avoid disclosing or utilizing H-P's trade secrets or confidential information." H-P makes this allegation in the context of a "threatened misappropriation" claim, but identifies no specific threat by Hurd or anyone at Oracle apart from his acceptance of employment in an executive capacity. The defense certainly could attack the Complaint on the basis that it is a thinly veiled inevitable disclosure case, a theory not recognized under California law. California also has a statutory provision requiring the plaintiff in a trade secrets action to identify with reasonable particularity the trade secrets it claims a defendant has misappropriated prior to taking discovery of the defendant. That, too, will be an issue in this case. The Complaint alludes to categories of information that may be at issue in the suit. In particular, H-P seized upon public comments attributable to Hurd regarding Oracle's servers, which compete directly with server products from H-P's Enterprise Business group. In addition, H-P alleged that Hurd had access to "pricing, margins, customer initiatives, allocation of resources, product development, multi-year product, business, and talent planning, and strategies being used by H-P."
As is typical of trade secrets complaints, the categories of information at issue are broad and for obvious reasons do not reveal much. I would expect Oracle to fight over the identification of those trade secrets truly at issue in the case. Regardless of whether the case settles quickly (as often happens in these types of departing executive cases), the one-time partnership between Oracle and H-P appears to be irretrievably broken as the two companies now compete directly for business hardware services.